Main opposition New Democracy and others have long charged that the anarchist group Rouvikonas enjoys the protection of the government when it stages attacks on public building, private companies, and foreign embassies in Athens. A number of analysts have said that Greece Police has orders from the Citizen’s Protection Ministry, not to arrest members of the group on the grounds that their activity is simply political activism, even though they have undertaken activities that expose the country internationally, most prominently with forays against foreign diplomatic missions. The group has drawn the negative attention of the international press, most recently in an 8 November report by The Economist, entitled “Licensed anarchy? How a group of Athens troublemakers goes unpunished”. The report also raises the issue of the group’s possible role as a spawning ground for future terrorists, and asserts as fact that some members are linked to the Conspiracy of Fire Cells. Noting that the group is based in Exarchia, the report cited some of the more violent attacks and indicates that Rouvikonas that appears to enjoy the toleration of both the government and prosecutors. 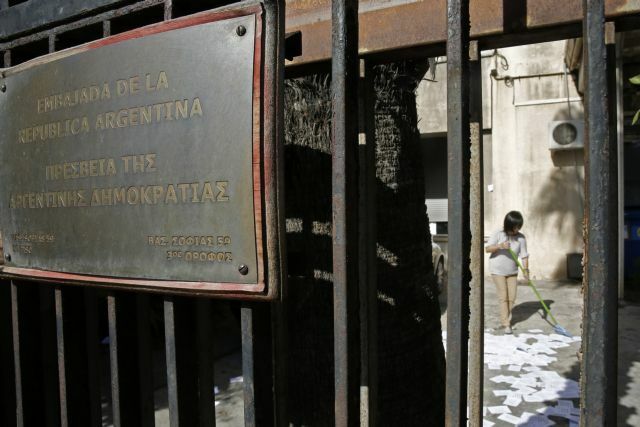 “Rouvikonas stages nuisance attacks against embassies, government buildings and the offices of multinational companies. Its members are not usually arrested. Prosecutors dismiss their actions as “too insignificant” to justify full-fledged investigation,” the report notes. The report puts Prime Minister Alexis Tsipras squarely in the picture of the group’s impunity, indicating that toleration of the group aims to resuscitate SYRIZA’s lost left-wing credentials, battered by innumerable neo-liberal austerity measures imposed by Greece’s creditors. “When police officers arrested several Rouvikonas members who broke into parliament last year, Nikos Voutsis, the Speaker, called up the citizens’ protection minister and ordered their immediate release on the grounds that ‘it was a simple act of protest’,” the Economist reports. The report expresses the concerns of some analysts that Rouvikonas serves as a training ground for future terrorists.